A 21 year old British girl became gone missing back in the summer of 2000 from the town I live now. I was not in Japan then, and did not know much about this incident. I read this non-fiction written by a British journalist, because it received a great review, to find the craziness and complexity of this case, in which there were over 200 more victims (most of whom were assaulted but not killed) by this psycopass. This book captures broad pieces of facts, thoughts, briefs of those who got unexpectedly caught into this incident, all of which was kept neutral, insightful and intriguing. 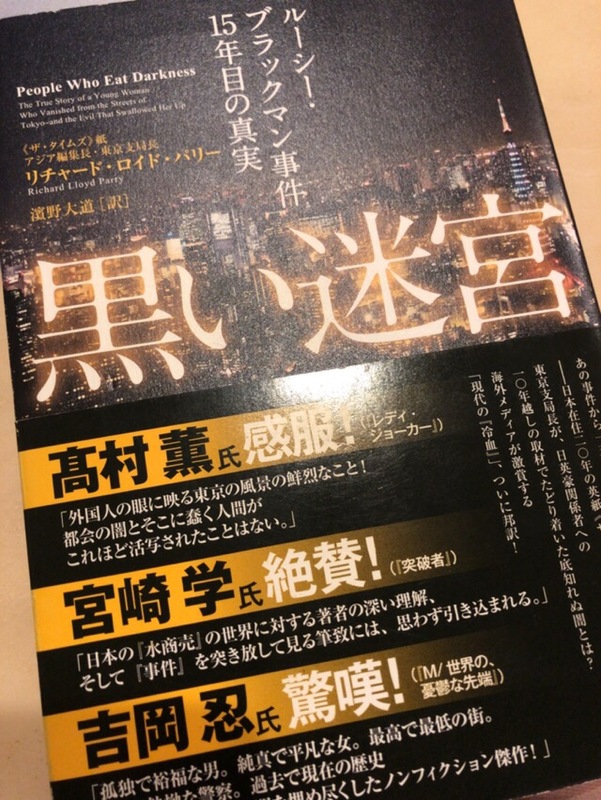 I also read another book written by a Japanese journalist, but the depth and coverage was not anywhere near the quality of this work.